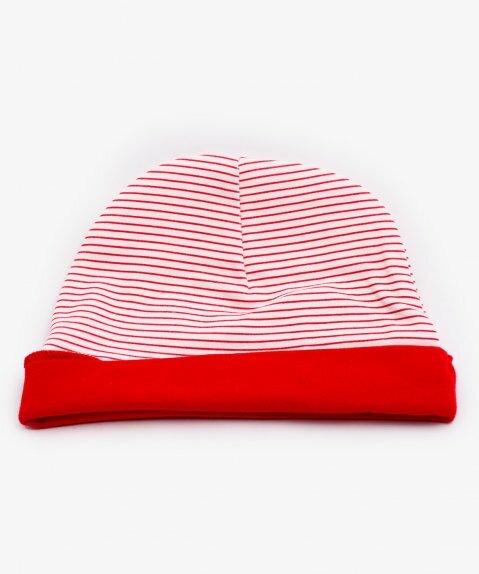 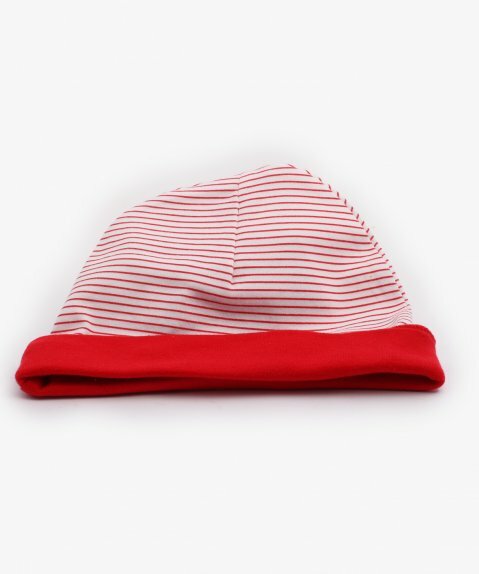 Let your child snuggle up in style with the Baby Plus Bonnet Cap with Red Cuffs. 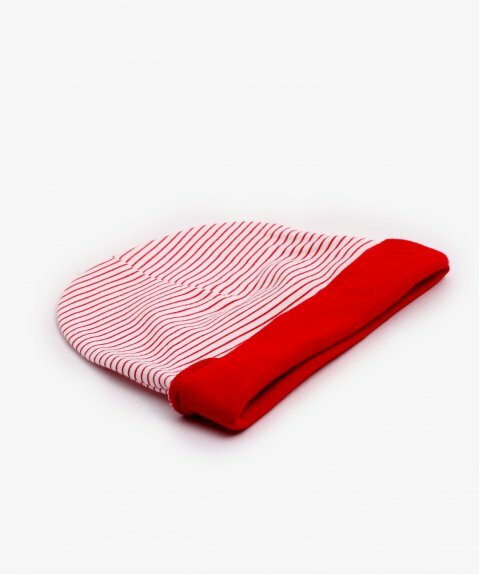 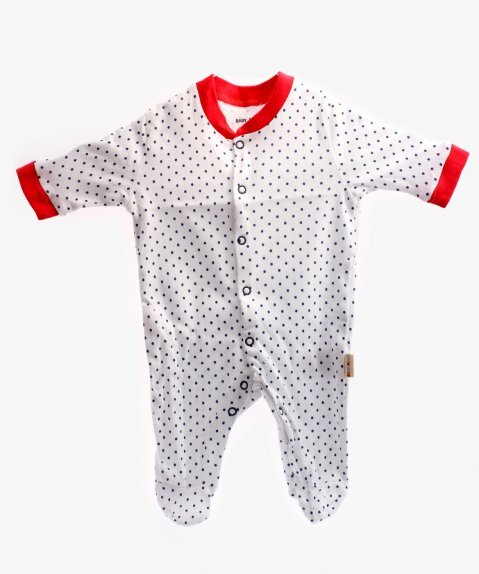 It is exquisitely knitted from pure cotton fabric and soft fleece, allowing easy care and maintenance. 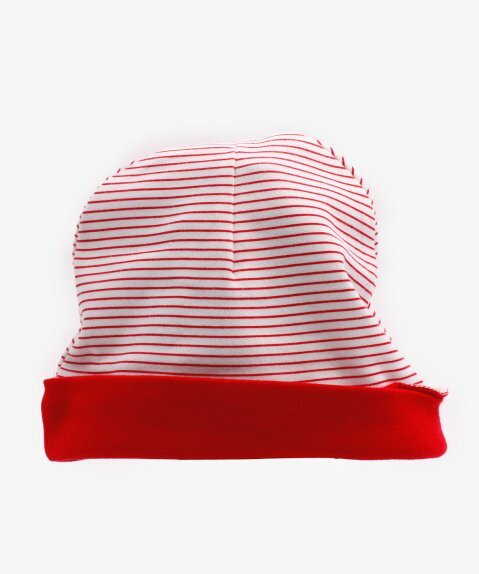 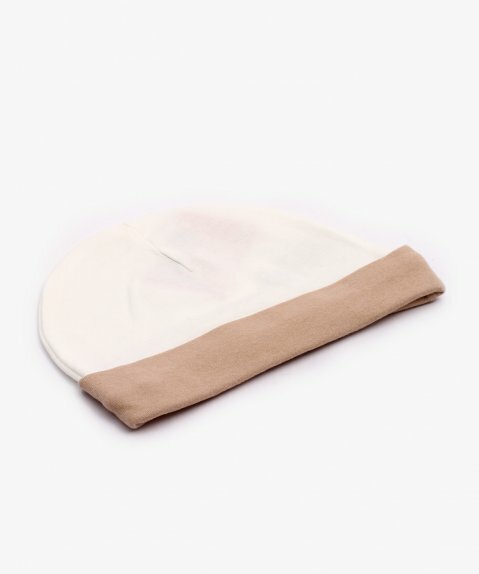 This bonnet cap is accented with a pretty soft ribbed cuff for a snug fit and extra warmth.